plot_orig: raw txt Original version of PLOT from the HP-42S manual. plot_thomas: raw txt Modified version of PLOT; like the original, with SOLVE support added. 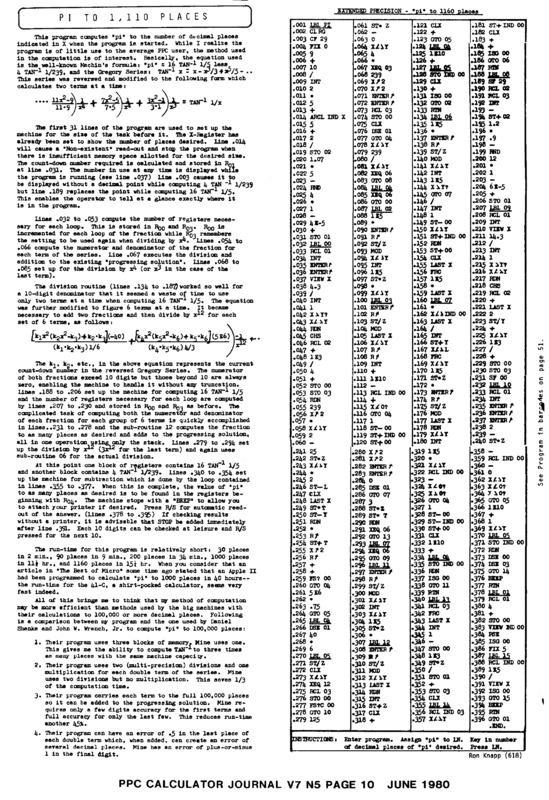 miscfn: raw txt Original version of MISCFN from the HP-42S manual. dplot_orig: raw txt Original version of DPLOT from the HP-42S manual. dplot_thomas: raw txt Modified version of DPLOT; like the original, with SOLVE support added. wave: raw txt Calculates sin(x) * sin(5*x). Used to demonstrate DPLOT. gc: raw txt SOLVE program to compute the Great Circle Distance between two points on the Earth. Coordinates should be entered in decimal degrees; distance is computed in kilometers. sun: raw txt SOLVE program to compute the height of the sun above the horizon. prm_dec: raw txt Original version of Erik Ehrling's PRM? program. prm_bin: raw txt Modified version of PRM? ; works with binary math, enabling it to run on Free42 Binary. diag: raw txt Constructs band-diagonal matrices. Put the desired dimension in X, and put a vector containing the (off-)diagonal elements in Y. If the vector's length is odd, its middle element will go on the diagonal; if its length is even, the element just before the middle will go on the diagonal. synth: raw txt Not actually a functional program; just contains all the HP-42S instructions with all legal types of arguments. I used this to test the "raw" mode program import/export in Free42. The synth program contains some synthetic functions. It doesn't exercise all the synthetic function/argument combinations possible on the HP-42S, just the ones that could result from importing HP-41 code. mast: raw txt The classic Master Mind number-guessing game. Numbers can contain digits 1 to 6, with duplicates allowed. Results are displayed as B.W, with B the number of black pegs (right color AND right position), and W the number of white pegs (right color, wrong position). Use the "up" and "down" keys to scroll through the current game's history. minehunt: raw txt Minehunt game, similar to the built-in game on the HP-48. By Erik Ehrling. rtmin: raw txt A program that finds extrema and roots of arbitrary functions. Contributed by Namir Shammas; see here for documentation. RootsEqns: raw txt A program that solves multiple nonlinear equations. Contributed by Namir Shammas; see here for documentation. mlran: raw txt A program that performs multiple linear regression. Contributed by Namir Shammas; see here for documentation. 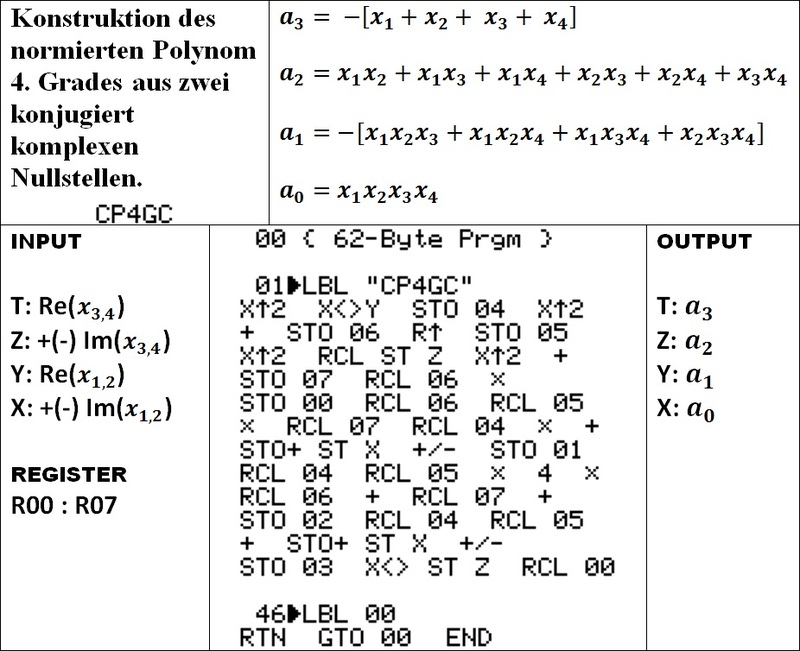 pi_dec: raw txt Calculates up to 1110 Digits of pi on the HP-41, more on a 42S. Put the desired number of digits in X and do XEQ "PI". When done, the digits of pi will be stored in register 04 and up. See here for documentation and the program listing. aesprep: raw txt Advanced Encryption Standard, contributed by Brett Stevens. Base: raw txt ASCII, Hex, Decimal, and Binary conversions. See here for documentation. Contributed by Ton van de Burgt. Convert: raw txt Unit conversions. See here for documentation. Contributed by Ton van de Burgt. Finance: raw txt A collection of financial programs. See here for documentation. Contributed by Ton van de Burgt. Triangle: raw txt Calculate the sides and angles of a triangle. See here for documentation. Contributed by Ton van de Burgt. 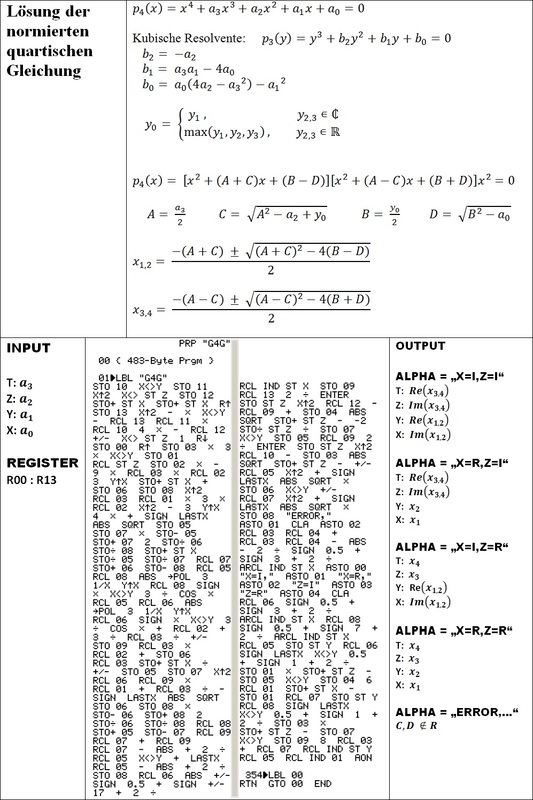 sestest: raw txt Simultaneous Equation Solver, based on an RPL program by Mike Ingle. See here for documentation. RealEigenvalues: raw txt Calculate real eigenvalues of a real-valued square matrix. Contributed by Pierre Gillet; see here for documentation. 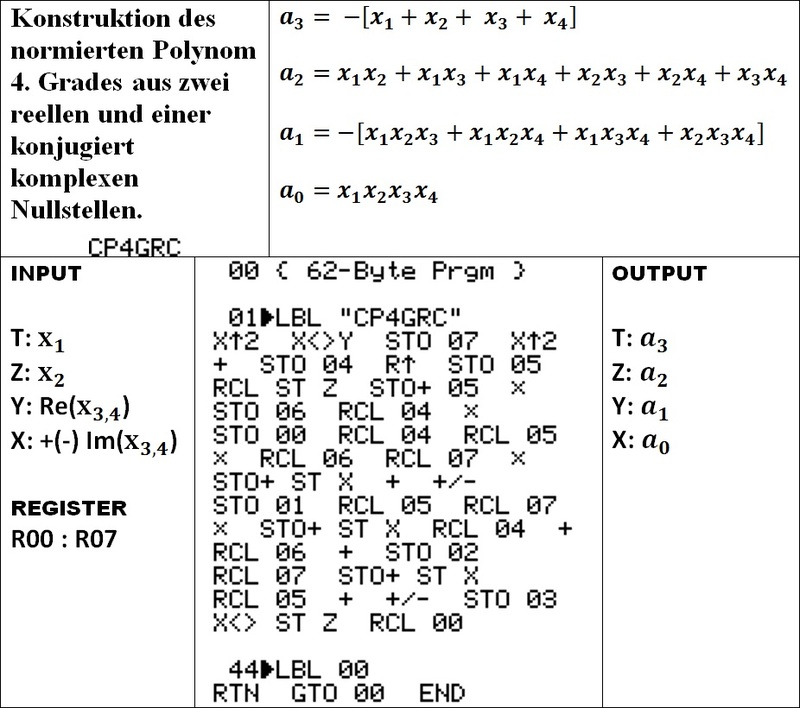 G4_G3_G2: raw txt Solves 2nd, 3rd, and 4th order polynomials. using closed-form solutions. Contributed by Christian Vetterli. STATISTICS: raw txt Statistics package, with four regression models, mean, standard deviation, median, extremes, chi-square and Student-t distributions, and more. There is some documentation here. Contributed by William Solano. ntrp: raw txt Perform linear interpolation. Contributed by Russ Jones. lrnc: raw txt Perform learning curve calculations. Contributed by Russ Jones. mort: raw txt Perform time value of money (annuity) calculations. Contributed by Russ Jones. FWIW-1.1.zip SHOW replacement that displays the contents of X in Free42's full 34 digits of precision. Includes an annotated listing. Contributed by Glen Sanft. cogo-42.zip COGO-42 coordinate geometry package. Contributed by Mike Reed. cw-16-04-10d.zip CW+ Pipe flow calculator using the Colebrook White equation. May be of interest to Civil and Mechanical Engineers and practicioners. Documentation included in download. Contributed by Andrew Happ. 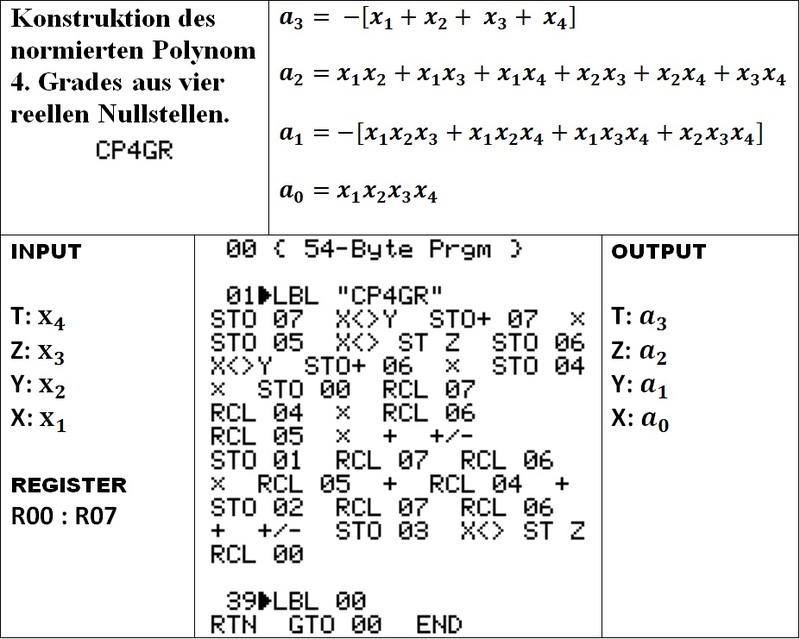 CP4GC: raw txt Construction of 4th degree monadic polynomial from two complex conjugated zeros, with documentation. Contributed by Günter Gaus. CP4GR: raw txt Construction of 4th degree monadic polynomial from four real zeros, with documentation. Contributed by Günter Gaus. CP4GRC: raw txt Construction of 4th degree monadic polynomial from two real and one complex conjugated zeros, with documentation. Contributed by Günter Gaus. G4G: raw txt Monadic quartic equation solution, with documentation. Contributed by Günter Gaus. The target audience of both programs is the 'sextant community'. These programs make the HP-42S (Free42) a worthy equivalent of an astrocomputer to navigate by the sun. A thorough knowledge of the calculator is not required. ASTRO_TSO: calculates the fix using the standard azimuth-intercept method of Marcq St. Hilaire which is based on the calculation of the point of intersection of 2 position lines. ASTRA_TSO: calculates the fix using an alternative method, calculating by iteration the points of intersection of two circles of equal altitude. Both programs have a built-in almanac of the sun with an average error of +/- 0.3' on the GHA and DEC and make the use of plotting sheets superfluous. Date, time and fix appear simultaneously in the display and can be shown in a custom format in the "Print-Out". Documentation in English and Dutch. Programs contributed by Harry Ackermans. Updated April 15, 2019.
unixtime: raw txt Conversion between Unix timestamps and local time: UTIME returns current time as a Unix timestamp; T2U converts from local time (date in Y, time in X) to a Unix timestamp, and U2T converts a Unix timestamp to local time (date in Y, time in X). It uses TZOFF to hold the offset between local time and UTC, in hours. For example, Central European Standard Time is one hour ahead of UTC, so set TZOFF = 1. If TZOFF is unset, it is assumed to be zero. N_CAL: raw txt Dissolved Oxygen and Ammonia Nitrogen calculations. 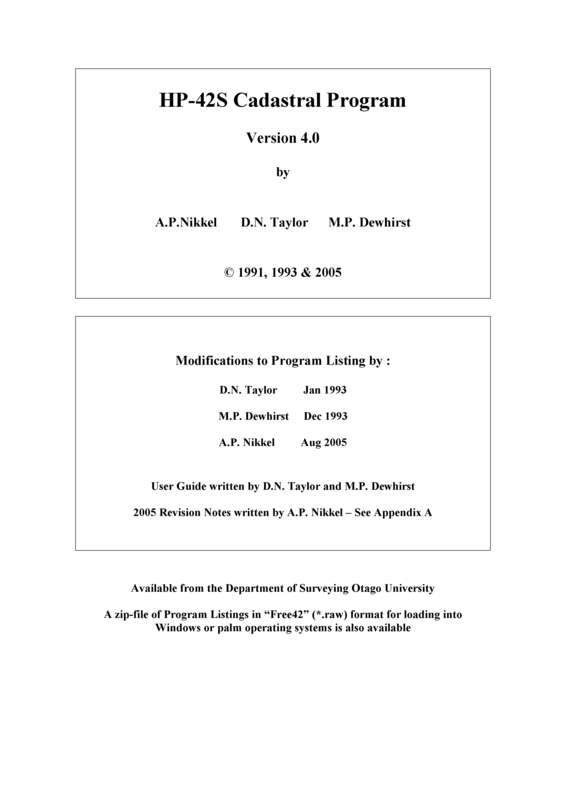 The author writes: "I have two programs for upload and review. They have helped me immensely in the waste water laboratory setting and would like to share. One calculates the Dissolved oxygen (DO) in saturated laboratory grade water at temp and barometric pressure. This is used for the air calibration of a DO meter used in the five day Biological Oxygen Demand (BOD) test. The other is used for the calculation of ammonia nitrogen using an ammonia nitrogen probe with standard addition. This is a much faster method than is normally used, it just takes a bit more mathematics." Documentation: DO CALC free42.rtf, DO calc HP35S.txt, Ammonia Calc Free42.rtf, Ammonia program HP35S.txt.